Since 2011, I’ve taught an undergraduate course at Pratt Institute on film festivals. Each year, my interdisciplinary class is responsible for organizing the Wallabout Film Festival, a student-run event that showcases student film from around the world. This year’s Wallabout, the 5th anniversary, will take place on Thursday, April 18 at indieScreen in Williamsburg, Brooklyn. 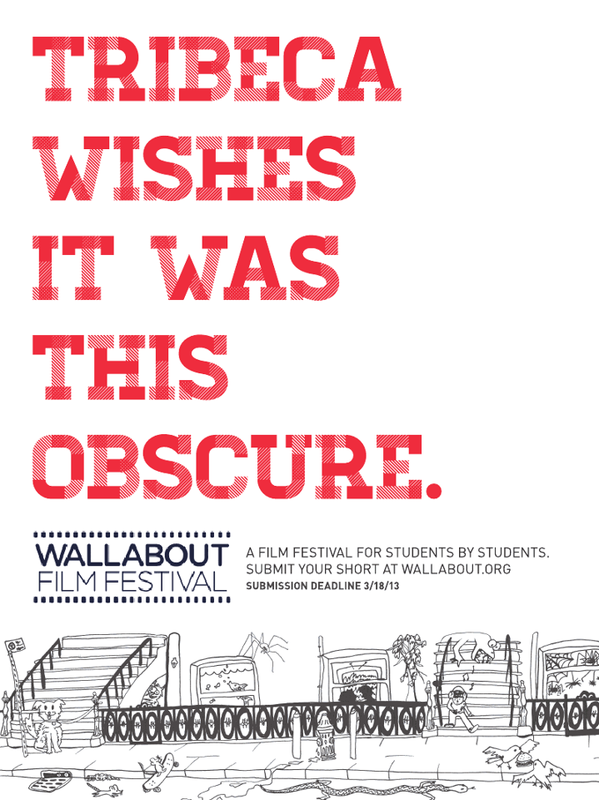 Wallabout is currently seeking submissions of shorts of any genre, preferably 15 minutes or under, provided they are made by students – current or within one year of graduation, any level, from junior high to graduate school. The deadline is March 18, and, recognizing students’ limited budgets, there is no submission fee! For an online submission form and more information, click here. Please spread the word to students and educators – I’d love for my students to have a wide range of projects to consider, both American and international. Filmmakers: The late submission deadline for US and international feature-length documentaries and narratives Sundance is next Monday, September 24. Note that this is not the postmark deadline; you must registered your application through Withoutabox and your film must arrive at the Sundance offices by next Monday. The 2013 fest will take place January 17-27. DOC NYC returns for its third edition this November, and I just recently came on board to program the festival’s shorts and panels. If you want a shot at screening your film in Manhattan to an audience of dedicated non-fiction fans and industry representatives, I encourage you to submit ASAP – the late deadline for both shorts and features is July 23, while the Withoutabox extended deadline is July 30. Technically the submission deadline is today, but for readers of my blog (and anyone to whom you spread the word, which I strongly encourage), I can extend the deadline until the end of this week, Friday, March 25. My students would love to take a look at US or international short films of any genre, 10 minutes or less, provided they are made by students (current or within one year of graduation). Submission is free! For more information on submitting, click here. Filmmakers: The late deadline for South By Southwest is tomorrow, December 2 – but if you can’t make that, there’s one final, last minute deadline next Thursday, December 9 – note that the entry fee makes a significant jump in that week, so if you can submit by tomorrow, you should. Increasingly well-attended by industry, filmmakers, and fans, the 2011 fest will take place March 11-19. I really enjoy SXSW – for years, I jealously watched friends and colleagues attend while I couldn’t due to programming deadlines for NewFest, but finally was able to start going last year, when I also was honored to serve on the Documentary Jury (we awarded 45365 and THE WAY WE GET BY). This past year, I was thrilled to world premiere THE CANAL STREET MADAM as part of the SXSW Documentary Competition. So, hey, I’m biased, but SXSW is an amazing festival. Austin is a fun city, the weather is beautiful in March, and the event draws people from all over representing the three parts of the festival – interactive, film, and music. Janet Pierson and her staff on the film side have done a great job carrying on from and expanding the work Matt Dentler did at the festival for years. It’s truly grown into a can’t-miss discovery festival, and is a must to submit to especially if your film has anything to do with music, though the programming is certainly not limited just to that. Even if you don’t have a film in the fest, it’s a great event to attend, with a low-key, casual atmosphere that can often be lacking at other festivals. Filmmakers: The early deadline for the Hot Docs Canadian International Documentary Festival is this Friday, December 3 – the final deadline is January 14, but submit by Friday for a reduced entry fee. The 2011 fest will take place April 28-May 8, so mark your calendars now. I’ve been able to attend Hot Docs since 2009 – covering the festival and its concurrent Forum for indieWIRE both years, and holding the international premiere of THE CANAL STREET MADAM there earlier this year. The event, held in Toronto, ON, is fantastically managed, comprehensively and smartly programmed, and attracts a huge audience (our second screening of CSM was on a weekday morning and we had to turn away more than 50 people!). It’s the largest festival of non-fiction film in North America, and, as a result, also draws a significant industry presence – so it’s a must for documentary filmmakers to submit their work to. Among the Hot Docs coverage I’ve done are recent articles from 2010’s edition: here and here. 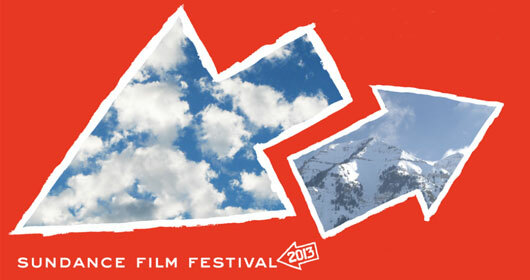 Filmmakers: The regular deadline for the Full Frame Documentary Film Festival is coming up next week! The postmark deadline is Friday, October 15, and the 2011 fest will take place April 14-17, so mark your calendars now. I had the honor of serving on Full Frame’s jury in 2009 and had a wonderful time. The event, set in Durham, NC, is uniquely programmed and draws a diverse and non-fiction savvy crowd from the area’s Research Triangle, made up of NC State University, Duke, and UNC-Chapel Hill. It’s one of the premiere documentary specific festivals in the world, and well-worth submitting your work for consideration. My thoughts on the festival can be found here.